Arrow has revealed the son of main character Oliver Queen is gay. 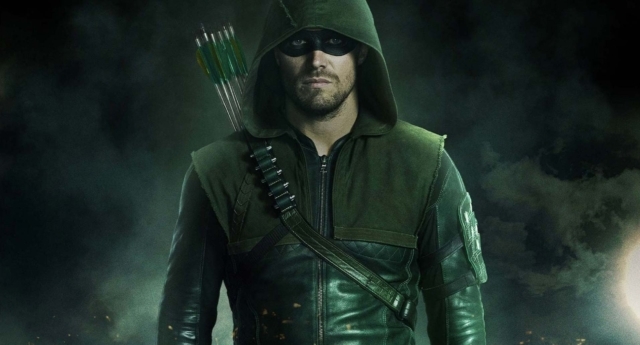 The CW superhero show, which stars Stephen Amell as a version of the DC Comics superhero Green Arrow, recently introduced a grown-up version of the main character’s son William, played by Ben Lewis. A young version of the character has appeared on the show since 2015, but the adult version made his debut as part of a flash-forward to the future on the current seventh season of the show. The October 22 episode of the show featured a scene between future William and Roy Harper, played by Colton Haynes. The subtle confirmation of the character’s sexuality was not lost on fans of the show, who took to social media to comment. The universe of superhero TV shows that share a universe with Arrow, known collectively as the Arrowverse, have earned praise for featuring a large number of LGBT+ characters. Arrow series regular Echo Kellum plays married gay vigilante Mr Terrific, while the show has previously featured bisexual superhero White Canary (Caity Lotz) and assassin Nyssa al Ghul (Katrina Law). Trans actress Nicole Maines recently made her debut as TV’s first transgender superhero on Arrowverse show Supergirl. Animated Arrowverse series The Ray also featured a gay lead, played by Russell Tovey, while Ruby Rose is set to make a hotly-anticipated entrance to the superhero universe as lesbian superhero Batwoman in December as part of a crossover event. Work continues on a solo Batwoman TV show, which is reportedly in the works for 2019. Caity Lotz, whose bisexual character Sara Lance/White Canary is currently leading the CW’s Legends of Tomorrow, has praised the inclusive vision for the superhero universe. She told Vulture: “That was a big, important thing for me, that she stays bisexual, and [the showrunners] were 100 percent game for that. “I go to conventions, and I’ve had a lot of girls come up to me and say how much it’s meant to them to have a character representing them on TV, and I think the show does a really good job on that with Sara, where it’s not like, ‘Oh yeah … hot girls, making out’. The superhero universe is overseen by out TV showrunner Greg Berlanti.